If you’re like me you like to listen to music while you work but, if you’re like most of humanity, you know it’s hard to do so when you’re distracted by lyrics. However, those of you who have experienced the wonders of electronic music you know that it’s some of the best music to read and write to. While there are lyrics from time to time, it’s usually a repetitive phrase for rhythmic purposes or subtle enough that it fades into the background. In this occasional series, I will recommend excellent mixes available for free through Mixcloud and then a proper album for further listening. Art Department has quickly become my favorite DJ duo. Together, Canadian techno/house legend Kenny Glasgow and No.19 label owner Jonny White spin earthy house tunes, mellow and melodic. When they drop vocal tracks, it’s hard not to recognize a trip hop influence. A perfect example of this can be found at the 24 minute mark on this mix. “Say You Won’t Ever (Larry Heard club mix)” by Wallflower can only be described as heartbreakingly good. Bottom line, if this mix doesn’t turn you into a house fan, I’d say it’s a lost cause. For further listening: If you do wind up enjoying this Art Department mix, I highly recommend the latest compilation from their label Crosstown Rebels, “10 Years of Crosstown Rebels.” The 3-disc collection features tracks from their various artists, including Maceo Plex, Jamie Jones, Seth Troxler, Soul Clap, and, of course, Art Department. The collection as a whole leans towards minimal, tech, and electro house, with a good number of vocal tracks — some moody and smoky, as opposed to soulful and disco-inspired. The legendary electronic duo Daft Punk released their latest album, Random Access Memories, last week with great fanfare. Regardless of what music has come out so far this year and what’s still to come, this album is destined to be in my top three at the end of December (if I were of the list-making sort). Not only did Daft Punk tease the album for what felt like forever, its soul and funk-heavy tracks show a mature progression. Because everyone under the sun—and a number of rocks—have reviewed it I’m using this space to recommend a few lesser known electronic musicians who will be an excellent addition to any Daft Punk fan’s collection. In 2003, London-based duo George Levings and Guy Brewer signed to Metalheadz, the renowned drum and bass label founded in 1994 by DJ duo Kemistry & Storm and producer Goldie. Call to Mind is Commix’s 2007 album and the first track, “Be True,” is exactly what you’d expect from a Metalheadz act—complex beats with artcore atmospherics and airy vocals that add to the tune but never distract. But Commix is a versatile act. “Change,” featuring Nextman, is the hardest track on the album—the metallic breaks and hip hop scratches give it a darkstep feel. “Satellite Type 2” is solid jump up; “Belleview” is a playful, techstep track that brings early Nintendo games to mind; and “Spectacle” is straight up jazzy. Overall, the album is downtempo and airy. If you miss the heyday of drum and bass, Call to Mind will scratch that itch for you. On the 2011 release they work with artists as varied as Radiohead’s Thom Yorke and American hip hop group Antipop Consortium. The fourth track, “Evil Twin,” a tweaky, hard driving tune features breakcore artist Otto von Schirach while the more soulful, head nodding song “Berlin” has vocals from Romanian-German singer, songwriter Miss Platnum. The credible electronic music website Resident Advisor captured Modeselektor’s essence when they said, “Like a jungle, their music is dense, textured and rich with sounds never experienced before.” Fans of the Beastie Boys’ antics will hear a familiar tone in the music of Modeselektor. Hendrik Weber, a.k.a. Pantha du Prince, also hailing from Germany, is the mellower of the three mentioned here. Diamond Daze is Weber’s first album but in no way inferior to his later work. Like his other LPs, ethereal sounds and mellow beats fill the space; echoing bell tones and muted shakers feature prominently. Diamond Daze, and Pantha du Prince in general, is the perfect music for dinner parties and lazy days on the couch with a book in hand. In the fall of 2011, British electronic duo Plaid released Scintilli, their first studio album since 2003. Since the early 90s, band members Andy Turner and Ed Handley have been at the forefront of experimental techno, a genre known as “Intelligent Dance Music”. Along with Aphex Twin, Autechre, Plastikman, and Squarepusher, the group ushered in a heyday for abstract beats and knob tweaking. During the late 90s, while the rave scene was still in decent shape, my friends and I would go to various underground clubs. Unless it was a party with multiple rooms, dance tracks dominated the sound system. I was never big into dancing but I did get pretty good: I ran in place wearing big pants, I could make an invisible ball with my hands, and my glow stick technique was better than most. But techno and house were always second best to jungle and IDM. Rightly or wrongly, I felt the latter were more sophisticated. Jungle was intricate; it had rolling basslines and complex breaks. IDM got in your head and messed with it. For me, it was music without reference, something completely new. Out of the bands that made up this marginalized group of IDMers, Plaid was the most melodic. Aphex Twin was dark and grating, close to industrial. The tracks could easily get under your skin. Autechre, too, was tough. They weren’t so much rhythmic as they were a methodical outburst of noise. I admired Plastikman’s minimalism, and Squarepusher’s jazz background gave him esteem, but they weren’t as listenable to as Plaid. On their second album, Not For Threes, the duo included two vocal tracks; one with international sensation Bjork and the other with a largely-unknown singer, Nicolette. A move that endeared them to electronica fans. Plaid’s latest, is, for the most part, soothing. The tracks are short, with the longest clocking in at four and a half minutes, and can be broken down into three types: ephemeral, grimy, and playful. The opener, ‘Missing,’ with its harpsichord melody and whimsical vocals is an example of the first; ‘Eye Robot,’ with its industrial beats and gritty overlay falls under the second; and ‘Thank,’ an upbeat, bouncy tune that makes you see sunshine easily falls under the last. A reviewer for the much-respected electronic music site Resident Advisor, criticized the album for its lack of adventurism. As a longtime fan of the band, it’s hard to argue. There’s nothing surprising about Scintilli, it’s Plaid through and through. But for someone who was praying against a gimmick, who was hoping they wouldn’t jump on some bandwagon for a cheap sale, the familiar is comforting. It’s like running into an old friend from college and realizing that, while you’ve both matured, you’re the same people at the core. Plaid is like an old friend you can come back to years later and pick up right where you left off; and, for those coming to them for the first time, there’s a whole catalog just like Scintilli ready for the listening. Since A Tribe Called Quest’s second album, Low End Theory, came out in 1991 I’ve been a fan. I can still remember the first time I saw the video for “Scenario”. The lines were clever—like Phife Dog’s of-the-moment opener, “Bo knows this and Bo knows that But Bo don’t know jack, cause Bo can’t rap”—and Busta Rhymes’ mesmerizing cameo. That year “Scenario” was on everyone’s mixtape. If you were in a car or at a party for more than 10 minutes, chances are you’d hear it. Delving deeper, as fanatical teens are known to do, I liked them more and more. I loved their jazz samples and smart lyrics and stuck with them throughout the years, faithfully buying each album. Earlier this year when I’d heard Michael Rapaport made a documentary about the group, I thought I’d heard wrong. Michael Rapaport? A Tribe Called Quest? Truly it was too awesome a pairing to be real. For anyone who doesn’t know who Michael Rapaport is, he was usually the only white actor in 90s “black” movies, or “Hood films” as Wikipedia calls them, who wasn’t casted as a cop or corrupt politician. It was the era of Spike Lee and films like New Jack City, Boyz N the Hood, Above the Rim, and Menace II Society were huge; Rapaport was consistently authentic—he was the down white guy. Beats, Rhymes & Life was Rapaport’s first time directing a film, a project that came about unintentionally. In passing, he’d mentioned to Q-Tip that someone needed to make a film about them. Q-Tip said, “do it”. The first scene Michael shot became the film’s opening; the group was on their 2008 reunion tour. The footage shows the height of the group’s tension. Tribe had broken up in 1998, after their album The Love Movement was released. They’d known each other for nearly 30 years and spent 20 of those making music. Q-Tip, Phife Dog, and Ali Shaheed Muhammad were feeling the strain of living life as one entity. The film, however, is not about the group’s decline. Beats, Rhymes & Life doesn’t sensationalize the hard times, instead it’s a celebration of who this group was and what they meant to people. When Rapaport looks back on Tribe’s early and glory days, he’s documenting the beginning—and rise—of hip hop, the revolution of the 80s, sparked by the radio. There were boomboxes on every stoop blasting DJ Red Alert, Run DMC, and LL Cool J—all influencers on Tribe’s style. As Tribe’s sound became known on the street, in the venues, and on the radio, they, too, became the influential. Angie Martinez, Monie Love, the Beastie Boys, Common, Black Thought, and others all get on camera to tell stories and talk about what Tribe was to them. It made me remember how much fun East Coast hip hop was in the 90s. In his interview with the New York Times, when asked if he thought it would be difficult to make a documentary about Tribe, Rapaport said, “Honestly, no. I was a little bit innocent about that,” which is exactly why he was the best man to shoot this film. Like Rapaport, A Tribe Called Quest always had an air of honesty and innocence. The group’s issues—largely isolated to Phife feelings towards Q-Tip, as the film shows—plays it out as a brotherly tiff, a misunderstanding between stubborn family members. Beats, Rhymes & Life is a trip down memory lane paved with love and affection. “THE PLOT AGAINST HIP HOP is a noir novel set in the world of hip hop culture. The stabbing murder of esteemed music critic Dwayne Robinson in a Soho office building is dismissed by the NYPD as a gang initiation. But his old friend, bodyguard/security expert D Hunter, suspects there’s much more to his death. An old cassette tape, the theft of a manuscript Robinson was working on, and some veiled threats suggest there are larger forces at work.” [via Akashic] Review in Time Out New York. Interview at okayplayer. Interview on Fresh Air. Interview on Sound of Young America. Interview at Fader. Interview on Fresh Air. Video of Jay-Z in conversation with Cornell West at the New York Public Library (opens with sound). “Def Jam Recordings: The First 25 Years of the Last Great Record Label is a colossal read, with its oversize width reminiscent of a vinyl sleeve. But the inside isn’t daunting; in fact, it’s alluring, with photography steeped in the record company’s storied first years, alongside words from some of hip-hop’s historic moguls, such as Russell Simmons, Rick Rubin and Kevin Liles. With a relentless attention to aesthetic, Def Jam pays homage to both its past as a corporation and the past of the genre that it helped build.” [via The Root] Listen to Rick Rubin and Russell Simmons on NPR’s Weekend Edition. What’s on your shelf this week? Comments are open. I became aware of tUnE-yArDs through a live taping of Studio 360 at the Jerome L. Greene Performance Space. Before the night began I’d noticed a young woman wearing neon feathers capped around the shoulders of her sleeveless dress with a streak of blue paint across her face. In New York City this doesn’t mean much and I assumed she was an audience member. It wasn’t until she was onstage that I realized she was Merrill Garbus, the lead member of the band. She took her place behind a floor tom, snare drum, and microphone. Not so visible was a loop pedal on the floor, a key component to band’s music. Behind her, also with a tom and snare, was Nate Brenner saddled with a bass guitar and off to the side were two saxophonists. The anticipation! What could this unconventional ensemble produce? What came next was unexpected: layered drumbeats, vocal loops of bleeps and siren sounds, and experimental horns. Later in her interview with host Kurt Andersen, Garbus spoke of her time abroad in Kenya and Tanzania where she was exposed to traditional African music (yet didn’t come to use it until 10 years later). She also told of straining her voice and thinking her singing career was over only to be introduced to a particular tribe’s vocal style, which has since become central to her own. Nowhere on the group’s latest album, w h o k i l l, are these influences more prominent than the single “Buziness” with its melodic chanting and tribal drumbeats. It’s hard to distill tUnE-yArDs into one genre, which speaks to Garbus’s nomadic history and the indirect path she took to land her where she is now. Even she couldn’t explain the exact trajectory, a sentiment familiar to fellow cultural explorers who wind up in unplanned places. She grew up in suburban Connecticut, was raised by music-loving parents, studied Theater at Smith College in Massachusetts, had a brief stint in Vermont as a puppeteer—yes, a puppeteer—and then moved to Montreal, Canada where she joined the band Sister Suvi. Merrill now lives in Oakland, California. It’s in this troubled city that you can imagine tUnE-yArDs thriving. Garbus’s lyrics have an undertone of social awareness. But if you don’t feel like you’re being preached to, it’s no mistake. This aspect of their music is intentional. In an interview with Pitchfork she spoke about the politics in her music and how she didn’t want to be so confrontational that she lost her audience but she also didn’t want to write music for Urban Outfitters. “I’m always walking this fine line,” she said. The night began with “Gangsta,” a song that came about after observing a group of Oakland boys posturing, unconvincingly like thugs, on the street. “What’s a boy to do if he’ll never be a gangsta?” she asks. Then, self-reflectively, “what’s a girl to do if she’ll never be a rasta?,” also a chord that will resonate with worldly travelers who at one point in their lives found themselves chasing an unattainable identity. 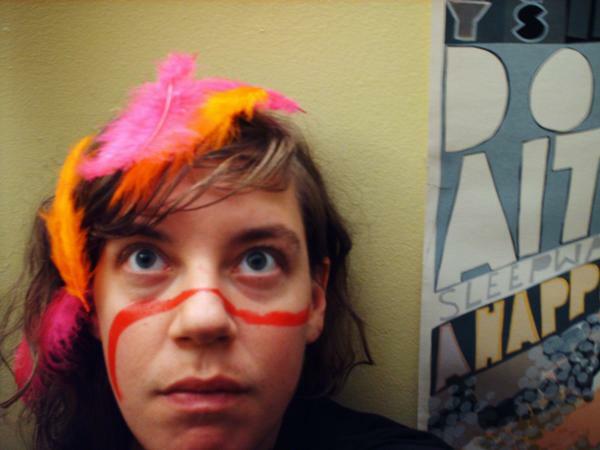 Like tUnE-yArDs live, w h o k i l l is dynamic and innovative. The fourth track, “Powa,” is a mellow, indie lullaby, albeit with confused lyrics; and one of my favorite songs “You Yes You” is an upbeat folky tune that makes me wish I was headed to the beach with the car windows rolled down. 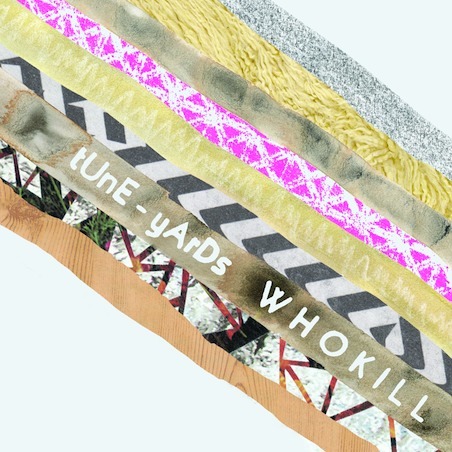 Overall, whether in person or on your stereo, tUnE-yArDs is a truly enjoyable experience and deserves more than a few listens. For me, Underworld is nostalgia. They were my first memorable introduction to techno. It was 1997, my freshman year of college, and I was in the embrace of 80s new wave. That year I’d fallen in with a bunch of ravers (or party kids as they liked to be called) who spent their weekends in clubs and warehouses. It was through them that I learned a lot had happened since Depeche Mode. 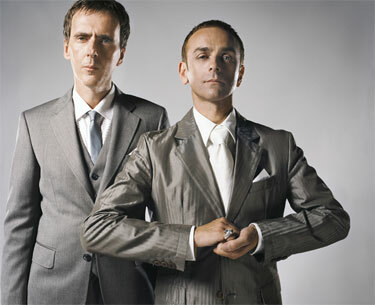 Second Toughest to the Infants, Underworld’s second album after their switch from electropop, had come out the year before and “Born Slippy”, their song on the Trainspotting soundtrack, had brought them some modest fame. Up until then, I’d only been familiar with bad Top 40 house music that played in the Long Island clubs where big hair and and tube tops reigned—not that I ever went to those places. Underworld opened my eyes to a world that went beyond simple drum loops and cheesy pop vocals. Their beats were intricately layered and their vocals textually sophisticated. By the time I’d come to them, they’d moved on from their synthpop days. Sometime around 1991 Rick Smith, half of the founding group, wanted a new sound. He wound up grabbing the talented 17-year-old DJ Darren Emerson from the London club scene. In 1994, together with front man Karl Hyde, they released dubnobasswithmyheadman, an album that made a sharp break with their earlier sound and heralded in what became their signature style—a mix of trancey, dark epics and driving, dancey anthems. 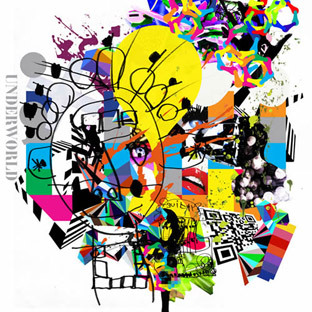 The interchange of upbeat and mellow could easily have felt forced, schizophrenic, disjointed but Underworld expertly weaves the two throughout their numerous albums, easing tensions and breaking lulls. In an interview, Hyde says that the people who have only seen them in the clubs miss a “very important other side to us that goes very deep, just music for chilling out to or music for driving to late at night.” The pairing of their albums with long drives is often noted in reviews and I’d like to add that they’re perfect for dinner parties as well. In addition to dropping their clean, punctuated synthpop sound in favor of lengthy hypnotic dub tracks with rolling bass lines and jazzy high hats, Hyde changed his approach to the vocals as well. He went from a clear, coherent stories to gritty abstractions. Perhaps the most interesting part about his new style was its multifunctionality, at times taking on a percussive quality, like in “King of Snake” on Beacoup Fish, and at other times adding to the harmony. Underworld’s airy synths, tribal crescendos, and quasi-philosophical lyrics oftentimes gives the albums a spiritual feel, making Hyde something of an electronic high priest. You’d think this would be anathema to a bunch of drug-addled nocturnals but something about the rave scene, at least when I was involved, thrived on the notion of transcendence. Instead of boredom or disappointment, this repetition of sound comes with relief. While most bands after losing a bandmate to a solo career, having kids, and moving from small clubs to selling out stadium shows and headlining major festivals might let life’s changes get the better of them, these guys have remained like an old, reliable friend with whom you never fall out of sync—and are grateful to them for it. i’ll be forever grateful to wnyc’s studio 360 for introducing me to the music of shara worden. host kurt anderson spoke with worden about her musical background, formal education, and how she’s using her cultivated talents today. in studio with her was the pop-classical ensemble, yMusic, a group of talented, young musicians collaborating with some of the most creative acts out there, both in the US and abroad. on the show they performed “we added it up,” a playful song written specifically for worden’s Lincoln Center “American Songbook” appearance. the string and wind arrangements, reminiscent of early disney films, were blended with cabaret vocal stylings. shara a contralto, the deepest female voice in classical music, gives her words a sultry feel, as if they’re wrapped in velvet before leaving her throat. worden’s music is difficult to categorize. her band, My Brightest Diamond, is a mixture of indie rock, moody electronic, and classical—all done expertly. in 2004 worden put an ad on craigslist in the hopes of forming a band. rob moose, a man at home with both a guitar and violin, responded. completing the band, minus more than a few repeat collaborators, were percussionist earl harvin, bassist chris bruce, and keyboardist zac rae. i was lucky enough to hear the wnyc interview with shara before her performance at the merkin concert hall for their ecstatic music festival this winter. the show, hosted by wnyc’s john schaefer, was a combination of premieres and recent works by both shara and sarah kirkland-snider, a new composer and co-director of a not-for-profit music label, New Amsterdam Records. in 2010 the two women worked together on the album Penelope, an ode to homer’s odyssey, with snider writing the score and worden as vocalist. the popular music site pitchfork called the work “dreamily disquiet” and described snider’s music as living “in a netherland between richly orchestrated indie rock and straight chamber music.” along with the 2010 collaborative song cycle, the first half of the night’s performance also featured two new works from the new composer, “taking turns in my skin” with poems by ivanna yi, a 2007 fulbright scholarship winner, and “daughter of the waves,” a tribute to the emotional landscape of motherhood. also performing that night was cj camerieri, an accomplished trumpet and french horn player, multi-instrumented hideaki aomori who played clarinet, and alex sopp, a flutist who has performed and recorded with notable musicians such as bjork and philip glass. on cello was clarice jensen whose credentials include her position as the production coordinator for bjork’s drawing restraint 9 soundtrack and her current lead role in the American Contemporary Music Ensemble (ACME) as artistic director. on drums, doing some impressive things with his hands and feet, was brian wolfe, who has played live with My Brightest Diamond in the past. the second half of the show featured shara’s compositions, including the premiere of her instrumental pieces written for yMusic. while perfectly engaging in the first part of the performance, it was during her own work that shara truly came alive: dancing, interacting with the musicians, and playing some interesting instruments—including a vintage toy ukulele from Sears fitted with proper pegs. it should come as no surprise, however, that shara was armed with a few cute folk instruments; her grandfather on her dad’s side “was an Epiphone-strumming traveling evangelist, her father an accomplished accordionist and her mother a classical organist.” shara obviously inherited her family’s love of music, if not their collective talents as well. for the instrumental pieces, worden brought in barnard-trained dancer jessica dessner whose flowy interpretive style—the movements accentuated by her lithe frame and light, loose one-pieces—was well suited for the whimsical compositions. 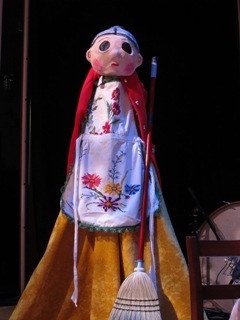 while dessner floated across the stage, off to the side, still in view but not distracting, shara sat wearing a mask—a slightly eerie creation portraying the musician in her elderly years—created for her by a puppeteering friend, lake simons. i would be remiss not to mention dm stith, the guest vocalist accompanying shara on a few songs—their mutual admiration visible, i’m sure, from the back row. after a thoroughly enjoyable evening of rejuvenating music and endearing stage presences, one thing is clear, these are musicians to keep tabs on. ACME will be performing at the MATA Festival on tuesday, may 10th at le poisson rouge. MATA is a non-profit organization dedicated to commissioning and presenting works by young performers.